On behalf of Admin of JML Law, A Professional Law Corporation posted in Product Liability on Thursday, Nov 01 2018. 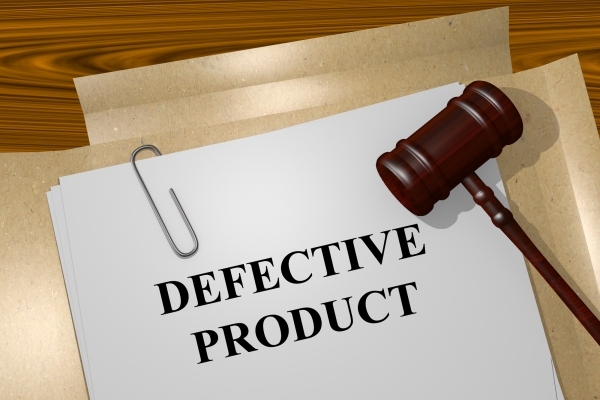 If you want to sue a food manufacturer or seller for your injury or illness caused by a defective food product, there are quite a few things you will have to prove in order to hold the manufacturer or seller liable. If your injury was caused by a substance that is natural to the preparation of the food served or sold, you cannot reasonably expect to sue the manufacturer or seller of that food product, because it cannot be considered defective. However, you may still be able to file a product liability lawsuit against the manufacturer or seller if that party failed to exercise a high standard of care when preparing or serving the food. In this particular situation, the liable party can be sued under the negligence theory. It goes without saying that if you sustain injuries due to a foreign substance in the food sold or served, you may be able to sue the negligent party by pursuing a cause of action in implied warranty and strict liability. In this case, your experienced product liability attorney in Los Angeles or elsewhere in California will have to determine whether the injury-causing substance in question could be reasonably expected in the food by the average consumer and if the food can be considered unfit, dangerous, or defective. This rule applies to restaurants, cafes, bars, supermarkets, grocery stores, and other establishments preparing, selling, and serving food to their guests and customers. What substances are considered ‘foreign’? Let’s imagine that, God forbid, you chocked on a chicken bone found in your soup. Can the chicken bone be considered a foreign substance? Typically, bones and other substances natural to the product served or sold cannot be rendered “foreign,” unless the presence of the natural substance was caused by the manufacturer or seller’s failure to exercise a high standard of care when preparing or serving the food. However, such substances as mold, traces of botulism, or other substances formed when the food is not properly prepared or stored can be considered “foreign” even when they are formed “naturally.” Needless to say, such substances as a cockroach found in chicken soup are not natural to the preparation of the food unless the manufacturer or seller uses cockroaches in the preparation of the soup and the average consumer is aware of that. Oftentimes, whether or not the injury-causing substance is natural or foreign depends on your particular situation and is up to the court to decide. Have you been harmed by eating or drinking a food product in Los Angeles or elsewhere in California? Schedule a free consultation with our Los Angeles product liability attorney from JML Law. Call our offices at 818-610-8800.